Direct - Windows Server 2003 R2 Enterprise Edition with Service Pack 2 (x64) - MSDN - TeamOS | Team OS : Your Only Destination To Custom OS !! Windows Server 2003 (code name for development is Whistler Server, internal version is Windows NT 5.2) is an operating system of the Windows NT family from Microsoft, designed to work on servers. 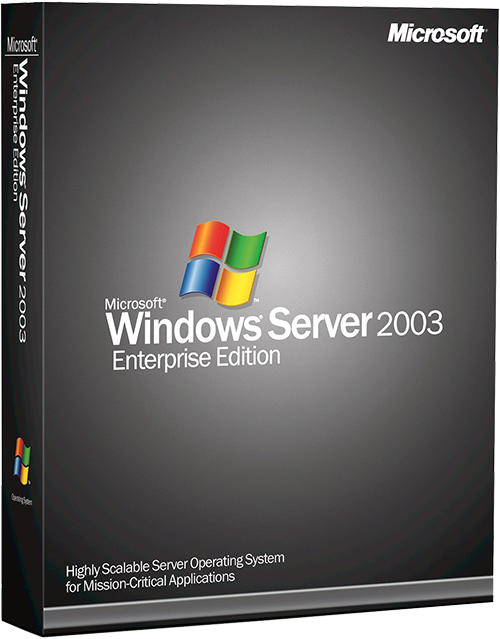 Windows Server 2003 is the evolution of Windows 2000 Server and the server version of the Windows XP operating system. These files are downloaded directly from Microsoft VLSC and provided with no modifications. This version is a VL version, so you do not need to connect to Microsoft's activation servers for activation. Each of the 32-bit and 64-bit versions includes 2 CDs, the first CD installs Windows Server 2003 SP2, and the second CD-ROM installs R2.